Whenever visiting a new city, it’s always a bit of a challenge: What should you see? What should you skip? And how in the world do you capture the essence of a new place in just a little bit of time? 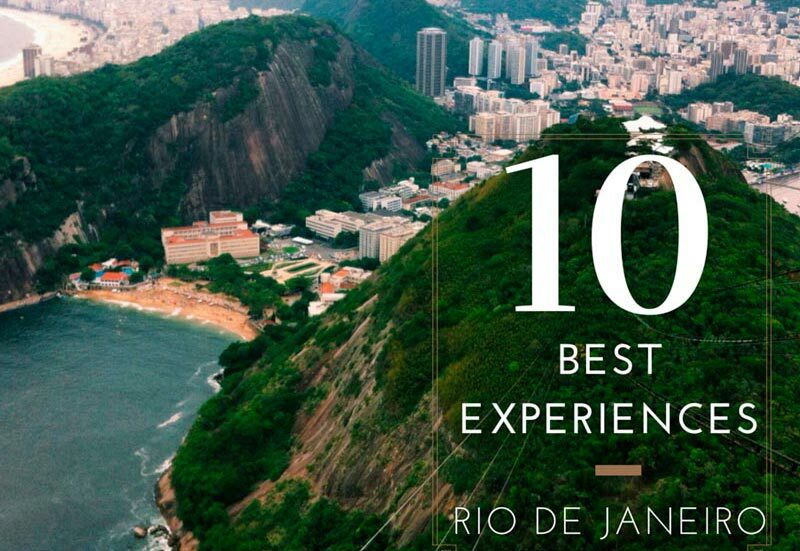 So here’s our answer to the question of what to do in Rio de Janeiro. Rio is best-known for it’s iconic mountaintop Christ statue, beaches and Carnival parties and parade, but many travelers seem unsure of where to go beyond that. In order to fully grasp the essence of Rio de Janeiro, in whatever time you have, you first need to realize that checking off a list of places you’ve taken pictures will hardly tell you anything about the city. Rio de Janeiro engages all of your sense and to fully experience it, you’re going to need to engage right back! Here are our favorite sights, sounds, and things to do in RIo that will wrap the city up in a nutshell for you. A Brazil nut-shell, that is. The giant Christ statue is the most famous icon of Rio, and every tourist’s first destination. It’s crowded, hot and the journey takes much more time than the destination, but the views are the best in the city. And it was recently named a new Wonder of the World so it’s definitely worth ticking off of your bucket list. Go early so you don’t have to fight too many other tourists for your selfie with the big guy, and take your time at the cafe up top before heading back down. 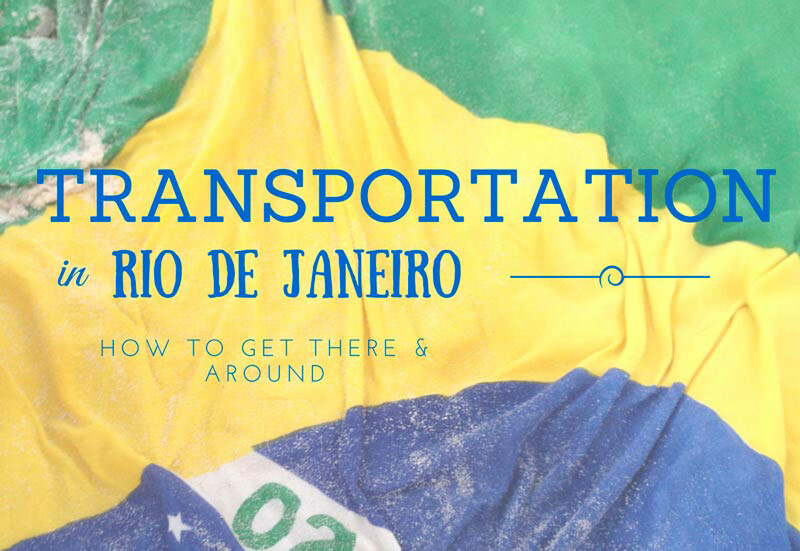 How to Get to Christ the Redeemer: The athletic and determined can hike to the Christ, otherwise take the metro to Largo do Machado station and take one of the vans waiting out front. This will take you all the way to the ticket booth. The second most popular thing to see in Rio, and our personal favorite, the Sugarloaf Mountain offers lower views than the Christ, but the place from which you view is a bit more beautiful (and we love the view you get from being on level with all of the other mountain peaks). Access to the Sugarloaf mountain includes riding in the cable car with gorgeous views over the Botafogo Bay and the rest of the city. At the top, explore the jungle trails on the back side of the mountain and share the views with the monkeys (yes, live wild monkeys!). Make it up in time for sunset and experience Rio in all of it’s beauty. How to Get to Sugarloaf: From the Botafogo metro station, you can take a 5-minute cab to Urca, just tell the driver “Pão de Acucar. OR you can take a bus from directly in front of the Cinelandia metro station, the front will say “Urca” and it will take you all the way (and you’ll save a few bucks). The beautiful, bright red, mosaic “Lapa Stairs” created and labored over for years by the artist Jorge Selaron. These colorful steps are full of Brazilian pride from the late Chilean artist, and includes tiles sent from all over the world to contribute to his project. You can find details from every corner of the world (likely including wherever you’re from) covering the hundred or so steps, as well as beautiful Brazilian mozaics and painted tiles about life in Rio de Janeiro by Selaron himself. The day is a great time for photos, however it’s also a fun place to bring some beers and hang out at at night. It’s a social place, and if you’re trying to meet some of the bohemian locals or other tourists, this is a good place to start. Interesting fact: Selaron lived, worked, and died on his beloved stairs. His home is towards the top and currently for sale after he mysteriously died and was found on the steps almost two years ago. How to Get to the Lapa Stairs: Take the metro to the Cinelandia metro station. Walk towards the ornate Theatro Municipal, and turn left on Rua Evaristo da Veiga. Continue along Avenida Republica do Paraguai until the intersection, cross towards the other side where the restaurants are, and continue left along Mem de Sá. The second alley to your right, Rua Teotônio Regadas, will lead you directly to the base of the stairs. You will see them from Mem de Sá before you enter the alley, so you can’t miss it. You can also take a taxi from anywhere in the city. Ipanema is, of course, Rio’s most famous (and most beautiful) beach, and Arpoador is the giant rock turned surf spot at the end of Ipanema before it turns into Copacabana. This is hands down one of the greatest places to just hang out in Rio and perhaps the most stunning place to watch the sunset from. The rock sticks out into the water so you can look back on all of Ipanema and it’s famous horizon and see why visitors and locals alike can’t get enough of it. A surf/skate/bohemian crowd often gathers on the sidewalk areas here, either selling handmade jewelry, playing handpan and drums, or having beers with friends after surfing. Come, take your time, hang out, enjoy the view, and get synced up with the laidback Carioca pace. Let “The Girl From Ipanema” play in your head on repeat. There is a park just behind, and if you walk up the hill you’ll find a skatepark with Rio-loving graffiti and the same perfect view above. You can also rent surfboards here or take lessons. How to Get to Ipanema and Arpoador: Take the metro to the General Osorio metro station, and follow the crowds to the beach. When facing the ocean, turn left and go to the end to hit Arpoador, or hang out at any of these popular local parts of Ipanema before heading to Arpoador at sunset. Where all soccer fans are first headed, this beautiful new stadium is an amazing experience for all travelers who want to see Brazilians enjoying their truest passion. The four main teams in Rio de Janeiro are Flamengo, Fluminense, Vasco de Gama and Botafogo, and the ultimate rivalry showdown is between Flamengo and Fluminense, so for a really heated game that’s the one you’ll want to see. Flamengo, known as the ¨people’s team¨ has the largest and unruliest following, and sitting in the Flamengo section will always be an exciting experience no matter who they play. No alcohol is sold in the stadium (for the crowd’s safety), so have your cold game day beer before you go. You can buy cheap versions of the playing team’s jerseys on the street outside. Games are multiple days throughout the week, so chances are you’ll be able to catch one as long as the season isn’t on a break. Check the schedule here. How to Get to Maracana: Take the metro (Green Line, to Pavuna) to the Maracana metro stop. The stadium is right next to the exit. If you’re feeling active, adventurous, and like amazing views, do the Dois Irmaos Hike for a glimpse of something locals also love to do in Rio. The Dois Irmaos (Two Brothers) are the two peaks at the end of the beach in every photo of Ipanema. You can do a 45-minute hike and sit on top of the tallest one and you’ll actually be sitting on top of the city. However, you have to go through the Vidigal favela (slum) on the hill below to get to the hike, but it’s very tourist-friendly (and let’s you see one more thing!). 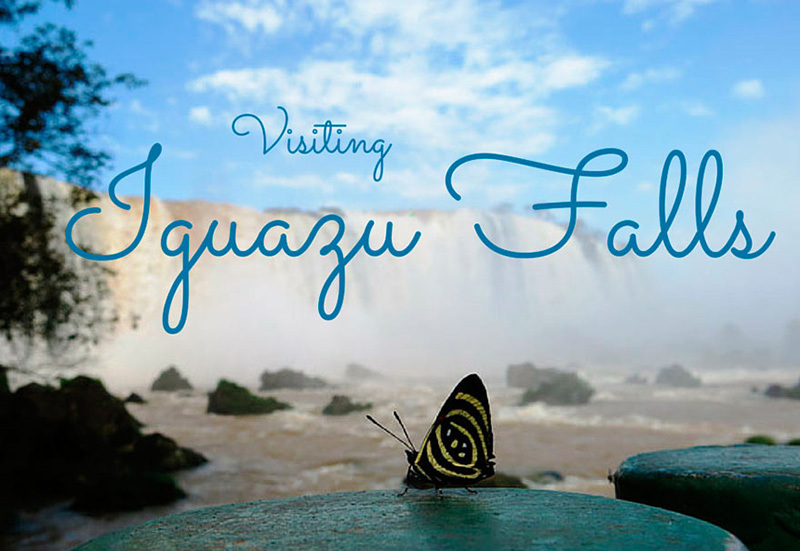 Enjoy views over the entire South Zone, Lagoon, Sugarloaf, Tijuca Rainforest & Christ the Redeemer. After, have cheap açai in Vidigal, and then cool off at the beach in Leblon. (If hikes are what you’re here for, then that’s a whole other list of things to do: Here’s our guide to some of Rio’s best hikes). How to Get to the Two Brothers Hike: Detailed instructions here. Carnaval is one of Brazil’s greatest claims to fame, and the wildest (and most unique) time to visit Rio de Janeiro. You can view the dancing and music every day of Carnaval on the city streets, or splurge for the Sambodrome. The Sambodrome stadium is over ten blocks long, built to feature the official Carnaval parade. The costumes, floats, happy music and lively dancing are an incredible world-class production, and even the trashmen and women are known to samba as they trail behind the massive floats to clean. While you need to be there in February or March (depends on specific dates for that year) to experience Carnaval itself, the parades take place over several nights during that time, so you have multiple opportunities. Perhaps the greatest deal is the discounted tickets the weekend after Carnival is ended, where you can go for half the price and see the top five winning samba schools perform. Each night goes until the early morning, and nothing is ever on schedule, so drink as much coffee as you can before. If you’re going to Carnaval, plan early, and know everything you need to before you book. How to Get to the Sambodrome: Take the metro to the Central metro station, and you will see signs directing you. If visiting outside of Carnaval season, you make prefer to take a cab as the area isn’t the best and the streets will be emptier. While this isn’t the top bucket list item for every traveler to Rio de Janeiro, it’s an interesting thing to do for anybody who wants a more complete picture of The Marvelous City. One in every five people in Rio live in a favela (Portuguese for “slum”), so you’re missing out on a significant part of the city’s lifestyle by sticking to just the beaches. Despite their dangerous reputation, it has become much safer to visit the favelas these days, and is accessible to any type of traveler through the locally-run favela tours that are popping up. Santa Marta is the home of the beautiful favela painting project, and Rocinha (Rio’s largest) gives an understanding of the giant world within themselves that favelas are. Well-traveled and comfortable explorers can visit on their own, but the safest experience is with a tour. Just be conscious and make sure to use tours that are part of the community and respectful- this is a neighborhood, don’t make it a poverty safari. Read about the different favelas to explore, safety tips, and the tour companies we recommend here. Park Lage is home beautiful classic mansion surrounded by rainforest (and since turned into cafe, park and art school) and is often known from Snoop Dogg and Pharrell’s ¨Beautiful¨ music video. It’s a very peaceful part of the city, and incredible photogenic. You’ll see the Christ statue towering above in the background (which can actually be accessed by hiking from here). Relax for a bit here, then head down the road to the Botanic Gardens: bigger than any we’ve ever seen in a city. The botanics gardens are home to a wide variety of plants and a ton of wildlife that will make you forget you’re in the city. Get lost for a couple of hours here as you follow monkeys and birds throughout the park and relax amongst the well-kept (and artfully plotted) wildlife. How to Get to Park Lage & Jardim Botanico: Take the metro to the Botafogo metro station. From here, you can catch a bus to Park Lage and Jardim Botanico. The bus will say Jardim Botanico, and you can tell the bus driver which one you are headed to first. If you stay near the front, they’ll let you know when you’re there. You can walk on the main road from one to the other, go right out of Park Lage to reach Jardim Botanico, or left from the gardens to access the park. You can also take a quick taxi from Ipanema, Leblon or Botafogo. This mass of very cheap and crazy downtown market space is nothing like the peaceful streets of Ipanema and Copacabana, and that’s why we love it. Pretty indistinguishable, Uruguaiana is the group of stalls selling cheap electronics right next to the metro, and Saara is the section after it, also along Av. Presidente Vargas, where you can buy cheap everything else in the world. Souvenirs, clothes, Havaianas en masse, colorful beach ¨towel¨ cangas, knockoff Ray-Bans, party decorations, blankets for long bus rides, mini Christ figurines, voodoo candles- it’s all here and it’s all cheap for the taking. Open every day, except most shops close on Sunday. Daytime not nighttime activity. Bring small bills to bargain, and watch your bags! How to Get to Uruguaiana & Saara: Take the metro to the Uruguaiana metro stop and you’ll be right in the midst of it. Go further to the left if you’re standing on Avenida Presidente Vargas to reach Saara. One blends into the other, so you may not notice which part is which but that’s okay. And there you have it, Rio de Janeiro in an exotic little nutshell! The ten best things to do in the city. *Ambitious travelers with more time should check out the Theatro Municipal, MAC Museum in Niteroi, Lagoa & Feira Nordestina as well. If you LOVED this post and want to see MORE like it, GO like our page on Facebook, follow us on Twitter, or join our latest adventures on Instagram. Sa wad dee krap!